Major League Baseball is ready for this Friday the 13th with a massive, 13-game slate of action on the main slate. 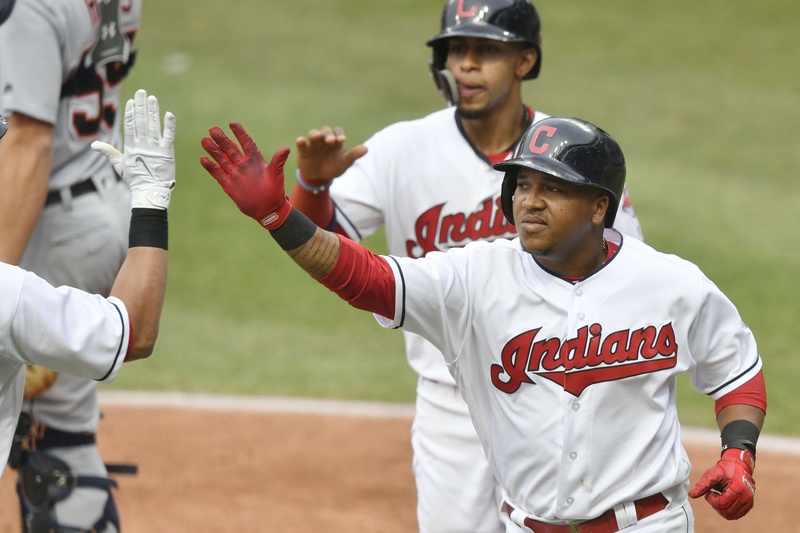 Early games in Chicago and Cincinnati featuring the Cubs, Braves, Cardinals and Reds result in those teams being the only options absent from the 26-team pool of players to sort through as you break down the matchups. As you search for the perfect players to add to your lineup, make sure to check out these top targets and values for Friday. Overall, it lines up to be a fairly offense-friendly night with only a few aces on the mound. There is also extended history to consider for the six divisional matchups as you find the right pieces for your lineups. 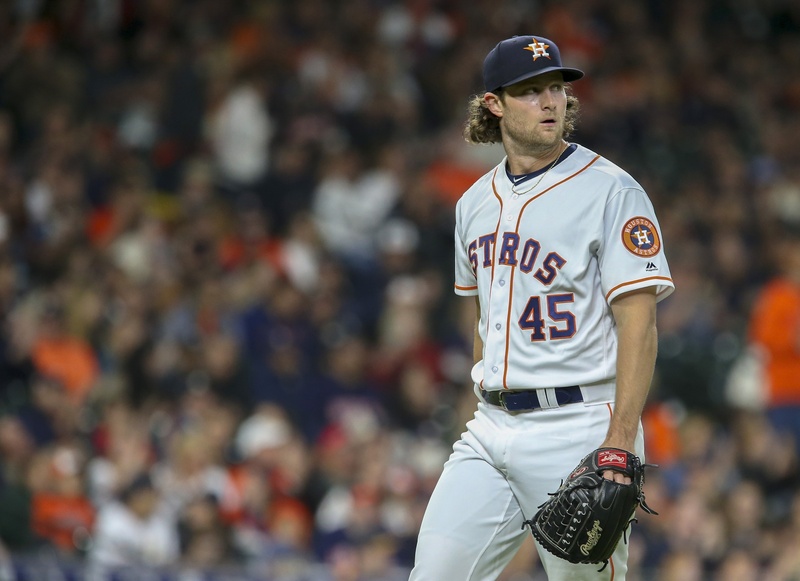 Gerrit Cole ($12,100) — Cole has been nothing short of spectacular in his first two starts with the Astros after heading to Houston in an offseason trade. He faced Texas in his first Astros outing and posted 36.8 DKFP by striking out 11 and allowing just one run in seven innings on his way to a win. He got a no-decision in his next start but still managed 34.8 DKFP with 11 more strikeouts in seven shutout innings against the Padres. His 22 strikeouts in 14 innings and 0.64 ERA show how dominant he has been, and a home start against the Rangers should set him up for continued success. He has relied more heavily on his slider than his two-seam fastball over his first two starts, and the adjustment seems to have unlocked an even higher ceiling for the emerging ace. Reynaldo López ($7,200) — The White Sox have gotten two excellent outings form López, who they acquired with fellow starter Lucas Giolito in the trade that sent Adam Eaton to Washington. López has allowed just one earned run in 13 innings this season, but his lack of offensive support has resulted in an 0-1 record despite his 0.69 ERA and 0.85 WHIP. López has posted 21-plus DKFP in each start due to 11 strikeouts and only four hits allowed in his first two starts of the season. He’ll look to continue his momentum as he goes on the road and faces a solid Twins lineup. It’s expected to be cold and possibly rainy in Minnesota, but if they get the game in, the conditions will be pitcher-friendly, so roll with López if the weather holds off. He comes in with the best form and highest upside of the value options despite not getting much run support. Buster Posey ($3,700) — Posey has started the season strong even as the rest of the San Francisco lineup continues to struggle to produce runs. Posey has 11-plus DKFP in each of his last three games and in five of his last nine. He is hitting .375 on the season with a 1.035 OPS, but he has been especially hot over the last week, going 9-for-20 (.450) with a double, two home runs and eight RBI. Jonathan Lucroy ($3,300) — Lucroy had his first three-hit game with the Athletics on Wednesday and finished with 15 DKFP. 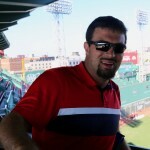 He hasn’t hit a home run yet with Oakland, but he has hit safely in seven of his 10 games on his way to a .270 average. He should be set up to build on his success after an off-day yesterday as he faces the Mariners’ Mike Leake ($6,400). Lucroy has gone 19-for-38 (.500) with three doubles, two homers and eight RBI against Leake in their past meetings. 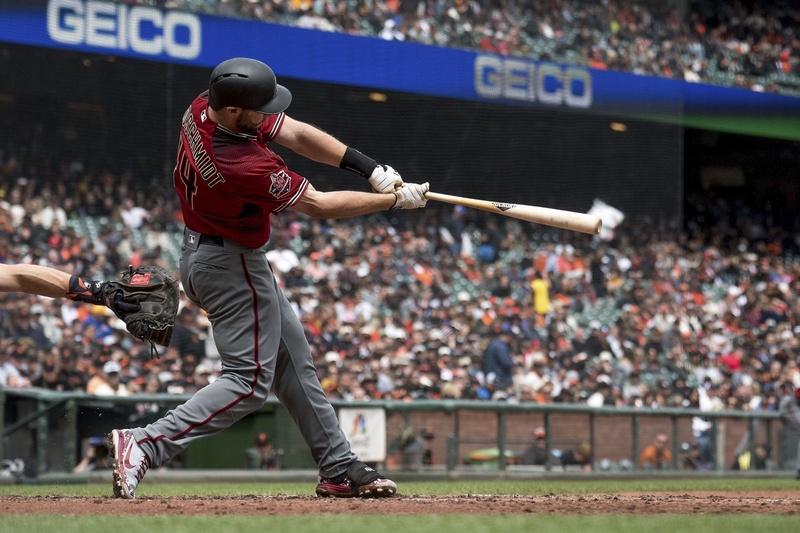 Paul Goldschmidt ($4,600) — Goldschmidt finally broke through after a slow start and put up back-to-back games with 20-plus DKFP to finish Arizona’s series in San Francisco. The Diamondbacks head to L.A. and face Kenta Maeda ($10,000), but look for Goldschmidt to keep right on producing. He has gone 6-for-20 (.300) with a double, triple and two home runs over the last week. Mitch Moreland ($3,300) — Moreland entered Boston’s 6-3 win on Thursday after Hanley Ramirez ($4,300) was hit on the wrist in the first inning. Ramirez is day-to-day after X-rays came back clean, but Moreland likely will get the start in a favorable matchup against Chris Tillman ($5,000) in Baltimore. Tillman has allowed lefties to go 7-for-13 (.538) against him in his first two starts of the season, including a double, triple and home run. His 1.667 OPS against left-handed hitters make all of the Red Sox’ lefties good matchup plays in Baltimore. Moreland hasn’t gotten consistent playing time this season, but he is 4-for-19 with two doubles after going 2-for-3 on Thursday. César Hernández ($4,400) — The Phillies’ leadoff hitter is off to a good start for the second season in a row, and he has benefited from a better lineup behind him and a green light on the basepaths. Hernández has hit safely in eight straight games with a double, home run, eight walks and three stolen bases as well. Philadelphia heads to Tampa Bay for a weekend set with the Rays, and Hernández will look to keep producing with a solid blend of power and speed that has helped him average 10.1 FPPG in his first 11 games this season. Jed Lowrie ($3,400) — Lowrie has been a big producer from the middle of the Oakland lineup, but his salary has stayed low despite his fast start. He is 18-for-54 (.333) through his first 13 games with three doubles, three homers, 11 RBI and a .945 OPS. He has 14-plus DKFP in five of his last seven games after going 3-for-6 on Wednesday in L.A. He and the A’s face the Mariners and Mike Leake to open their weekend series in Seattle. Lowrie will remain a solid value play as long as he stays healthy and keeps mashing from the third spot in Oakland’s order. José Ramírez ($4,800) — Ramírez started the season a brutal 2-for-33 in his first nine games, but he has bounced back in his last four games, going 5-for-13 with a stolen base and a pair of home runs. He has 12-plus DKFP in each of his last three contests and seems to have re-discovered the form that made him an elite play for most of last season. Tim Beckham ($3,100) — Beckham is usually a good play to consider when the Orioles take on a left-handed pitcher, and he should be a solid value against Eduardo Rodríguez ($8,500) and the Red Sox as the AL East rivals open their weekend series. Beckham is 5-for-13 with a double and a home run off of southpaws this season, and he is 2-for-7 with a home run against Rodríguez in his career. He could be a candidate to move to the top of the Baltimore lineup if Trey Mancini ($3,300; hand) is forced to miss any time after getting hit on the hand Wednesday. Manny Machado ($4,900) — Machado hit six home runs last year against Boston — more than he hit against any other opponent — and went 20-for-75 with a .873 OPS. He comes into his first meeting this year with the Red Sox after going 11-for-26 (.423) over the last week with two doubles, three homers and six RBI. All three of his home runs this year have come off of lefties, so a matchup with Rodríguez should put him in a position for continued success. Ketel Marte ($3,300) — Marte has been a regular at the second spot in the D-Backs’ order this season, and he has been heating up lately. He is 7-for-20 (.350) over the last week with three doubles, two walks and two RBI. He has a seven-game hitting streak and seven-plus DKFP in three straight coming into his matchup tonight with Kenta Maeda. Aaron Judge ($5,200) — Judge extended his hitting streak to 10 games with a double last night, and he has hit .405 (15-for-37) during the streak with three homers and a 1.244 OPS. The slugger showed throughout last season that he is a streaky producer, and he appears to be ready to go on a tear as the Yankees head to Detroit, where he’ll face Mike Fiers ($6,300) in the first game of the series. Jackie Bradley Jr. ($3,300) — Bradley started the season 3-for-26 in his first seven games, but he has hit safely in each of his last three games, going 5-for-11 with five runs scored a double and an RBI against the Yankees. He will look to carry over that success as the Red Sox host Baltimore. He gets a favorable matchup against Chris Tillman, who has struggled badly with lefties the last few seasons. He’s a nice value bat since he tends to be extremely streaky but offers solid upside when things are going well.